bbluv0707 Seller was responsive and accommodating! Happy with the purchase and will buy again. lipgloss Friendly and helpful seller.. easy to communicate and smooth transaction. Overall very good. 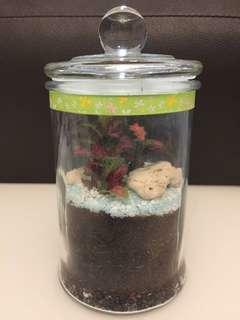 mysteryblack Fast response and good communication with seller.. Arranged and confirmed within short time frame.. Awesome seller! My 3rd purchase! 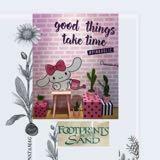 Katt Thank you so much for your precious compliments, it means a lot to me especially getting support from returning & potential customers’s trust. It’s my pleasure to meet you, hope to serve you soon. mysteryblack Thank you so much for arranging the lovely gift within a short time and accommodating to my many requests as well. Excellent seller with great communication and fast response! Strongly recommend to buy from! 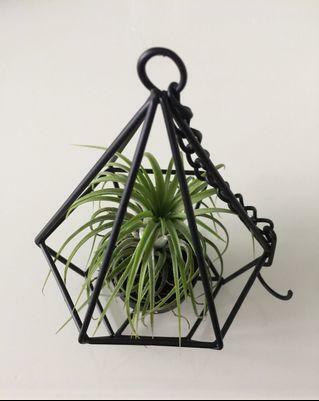 Air plant Ionantha/Stricta with hanging metal holder that can be hanged anywhere you like at home or office or as a gift. 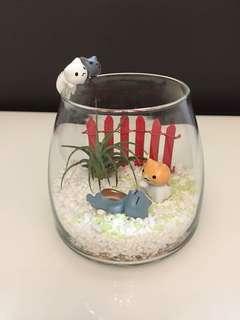 Air plant is easy maintenance mist 1-2 times a week. Suits display indoor indirect sunlight. No soil needed they adsorb nutrients from their Trichomes in the air. $13 each set. 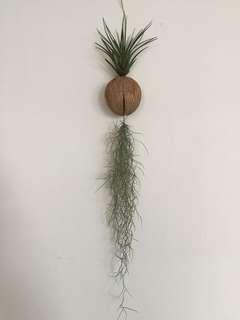 Air plant Tillandsia with hanger can hanged any where you like. 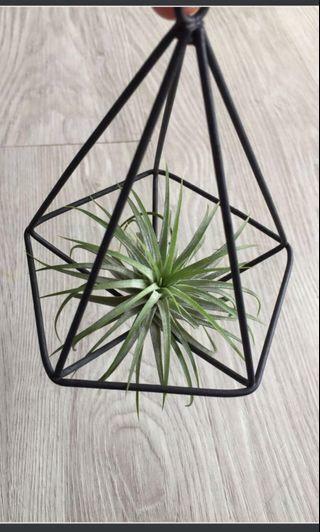 Air plant is easy maintenance mist 2-3 times a week, suits display indoor or outdoor. Pls pm for meet up in Hougang. ✳️No trade/ no return/ no refund once sold. 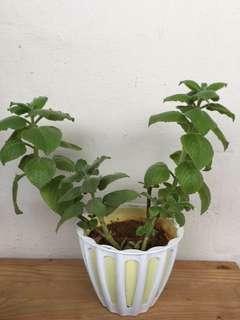 Indian borage Mexican mint in a pot with detachable hanger. 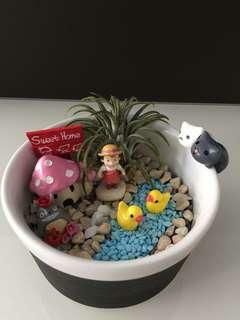 4 plants in the pot. Nice mint smell when touch the leaves. 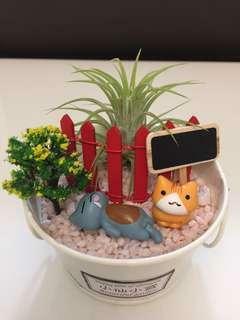 Pot size ♎️:12cm. 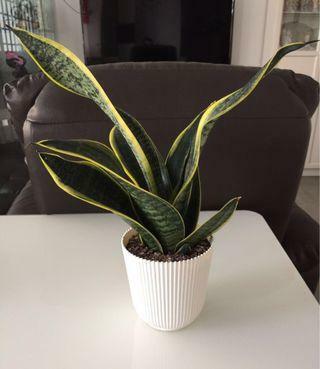 Pot +tallest plant 35cm in height. Pls pm for meet up in Hougang. ✳️No trade / no return / no refund once sold. 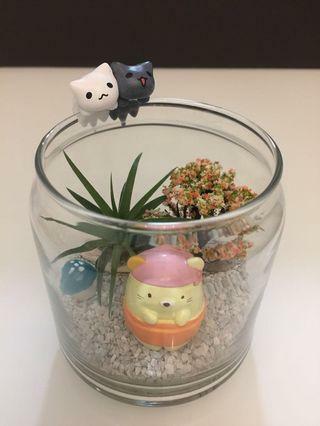 Succulents is easy to take care mist 1-2 times a week. Suits indoor display at home / office & great as a gift for any occasions. 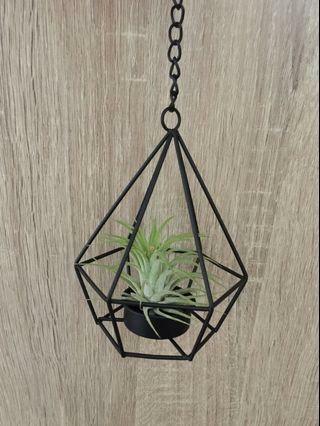 Square pot size ♎️ 10cm, 7cm height. 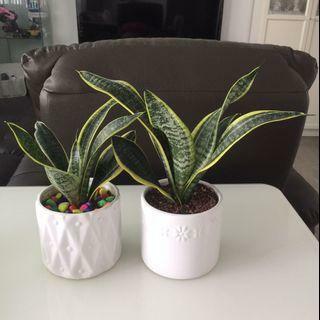 Pls pm for meet up as they’re real plants. ✳️No trade / no return / no refund once sold. 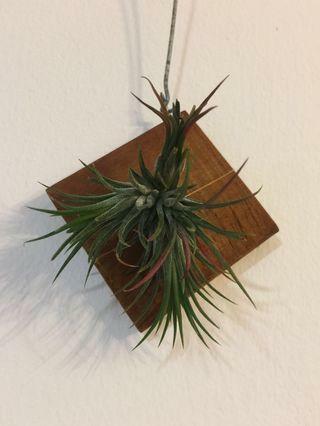 Air plant Ionantha is easy maintenance mist 2-3 times a week. Suits display indoor at home or office. 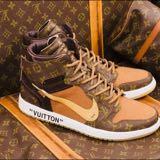 Great as gift for ur loved ones for any occasions. 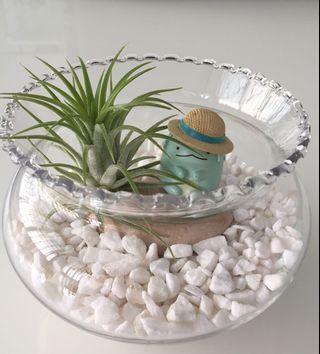 Glassware size ♎️:9cm height,12cm widest diameter. Pls pm for meet up in Hougang Ave 10 or MRT due to fragile. 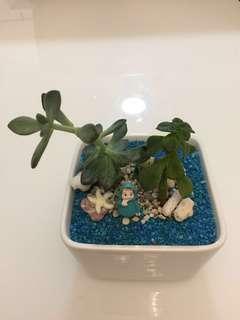 A closed terrarium with Fittonia plants on the mini beach. 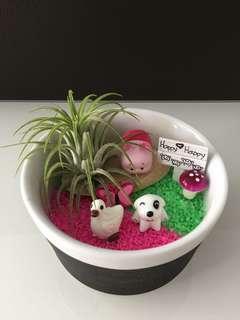 Great as gift for any occasions or display at home / office. 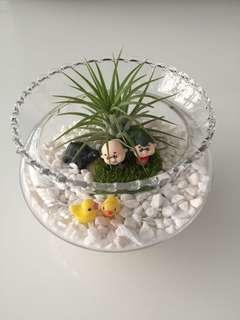 Glassware size :15cm height, 10cm diameter. Pls pm for meet up in Hougang due to fragile. ✳️No trade / no return / no refund once sold. 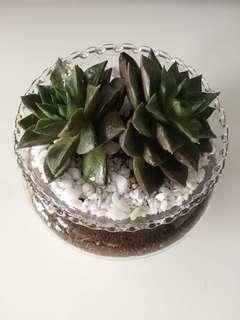 Succulent is easy maintenance mist 2-3 times a week.Suits display indoor. 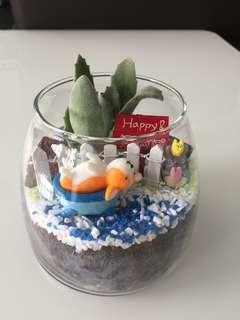 Great as gift for ur loved ones for any occasions or display at home/office. 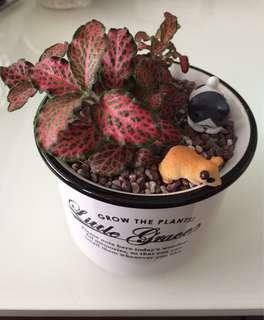 Glassware size ♎️:11cm height, 11cm widest diameter. 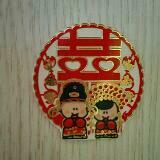 Pls pm for meet up in Hougang Ave 10 or MRT due to fragile.